As we approach the city from the Polish gate we arrive at the Stephan Bathory Tower and gate, immediately behind us and off the photo to the left. 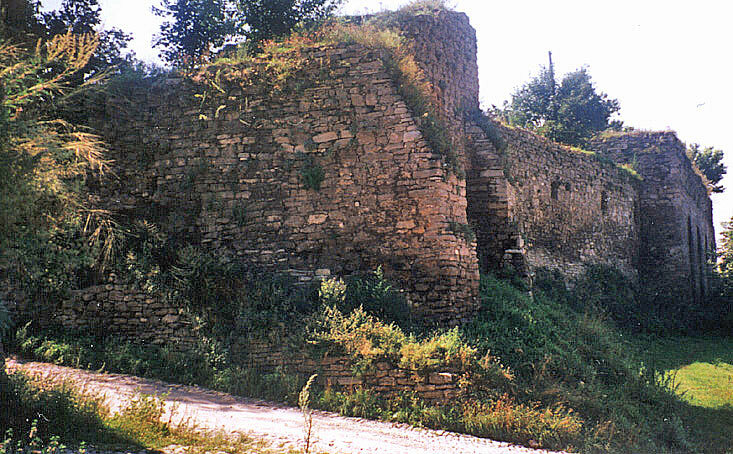 Here we see the remains of the city upper fortification wall. The road now passes through it next to the tower, which is 9 in the plan.